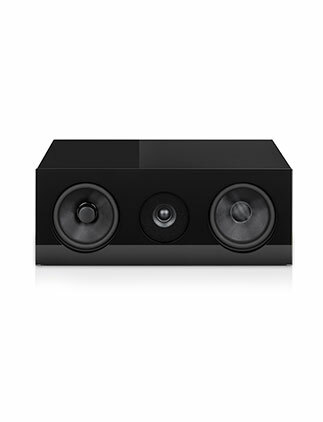 Because it transports most of a movie’s dialogue, the center speaker is of vital importance for the over-all performance of any multichannel system. That was more than enough reason for us to design the new CLASSIC Center 2 with the same attention to detail that we apply to all our speakers. Hence, we chose nothing less than our esteemed CLASSIC 15 as a starting point for the development. The CLASSIC Center 2 uses exactly the same drivers, and the same cleverly designed crossover network as its larger sibling. Thus, we can be sure that the CLASSIC Center 2 will be a perfect acoustic match with all the speakers of our CLASSIC range, offering near endless possibilities for designing your multichannel speaker system of choice with the famous AUDIO PHYSIC sound quality. Build quality of the CLASSIC Center 2 is also what you would expect from a speaker bearing the AUDIO PHYSIC marque, with a solid glass-sandwich cabinet, of course entirely Made in Germany and to the highest standards of craftsmanship. Standard colours are High-gloss Black and High-gloss White, but on special request almost any other colour is also possible at extra cost. The CLASSIC Center 2 comes with an open front cover using the same glass-sandwich construction as the cabinet walls; an optional closed front cover made of acoustically transparent fabric is also available. Nestled between those two drivers sits the tweeter that, with a 22-millimetre large silk dome and well ventilated magnet motor, is capable of recreating high frequencies up to well above the audible band with astonishing fidelity. The tweeter resides in a small horn-shaped indentation that subtly adjusts the sound radiation behaviour around the crossover frequency between mid and high frequencies. This way, the spatial image remains wide, balanced and precise, and the CLASSIC Center 2 is ideally equipped to provide the precision, dynamics and clarity that complex movie soundtracks require. As we at AUDIO PHYSIC never compromise when it comes to the quality of our speakers, the CLASSIC Center is of course fitted with high-end terminals from WBT’s nextgen®range. These have proven to be impervious to eddy currents and have a clever torque indicator to ensure the ideal tightening force when used with spade connectors. Ask a specialist AUDIO PHYSIC retailer near you for a demonstration and for more information about how you can build your very own multichannel audio system around the CLASSIC Center 2, our companion subwoofer LUNA and the other speakers in our CLASSIC range. Height 170 mm / 6.7"
Width 455 mm / 17.9"
Required Space Width x Depth 455 x 240 mm / 17.9 x 9.5"